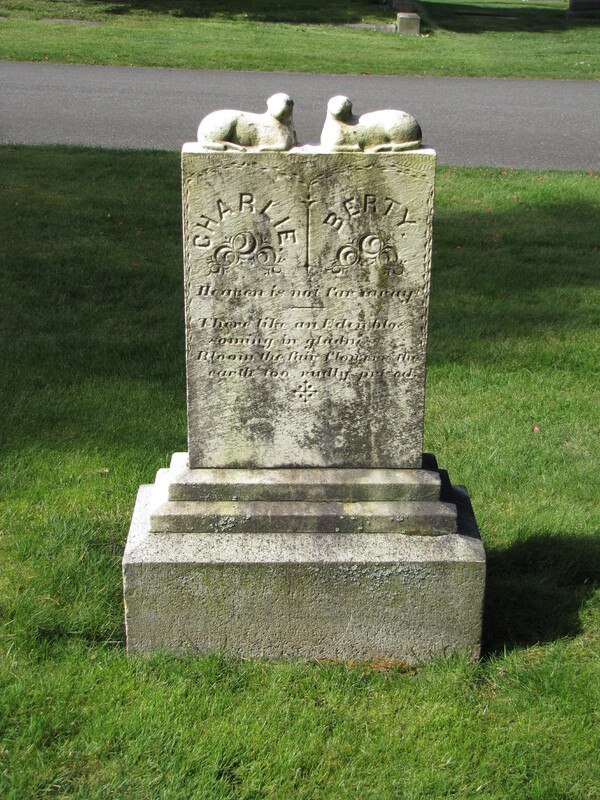 This gravestone displays twin lambs facing each other over the names of the twin brothers whose graves the tombstone marks. Have you ever seen a grave stone with a phoenix rising on it? It’s not a Christian symbol but it should have been taken up by them at some point….